Acupuncture, an ancient art of healing, is a safe and effective natural therapy that’s encouraging the body to promote natural healing and to improve functioning. Acupuncture is effective for controlling pain and can regulate the body's physiological functions to treat various internal dysfunctions and disorders. According to Western medicine, the effects of Acupuncture are probably the result of stimulating the nervous system to release chemicals which may in turn release other hormones producing the desired effects. This theory is supported by the basic research work which has shown acupunctures effect on ACTH, insulin, thyroid hormones, growth stimulating hormone, beta-endorphin, white blood cell production and plasma cholesterol levels. Acupuncture may work on an electromagnetic bio-information system. In traditional Chinese Medicine training, acupuncture is believed to modulate the flow of energy (Qi) in its channels, or meridians, to restore balance. Treating injuries in sports medicine- To relieve childhood illnesses- In NHS pain clinics- To help overcome drug addiction- migraines and tension headaches- sinusitis- common cold- trigeminal neuralgia- tennis elbow- sciatica- arthritis- menstrual cramps- fibromyalgia- low back pain-, carpal tunnel, asthma- weight loss- infertility and neuropathy. Nerve regeneration, Carpal tunnel syndrome, Wound healing. LLLT Acupuncture Clinical Studies on Animals as well Humans. Clinical Studies have shown the positive effects of Laser Acupuncture with healing and pain management for muscular and skeletal condition's in both humans and animals too. Laser is used to stimulate acupuncture points using the same rules of point selection as needle acupuncture. Laser acupuncture may be used solely or in combination with needles for any given condition over a course of treatment. In some musculo-skeletal conditions higher doses of laser may be used for the deactivation of trigger points. Trigger points may be found in muscles, ligaments, tendons and periosteum. Direct irradiation over tendons, joint margins, bursae etc may be effective in the treatment of conditions in which trigger points may play a part. Children and the elderly may require smaller doses. Areas of thick skin or muscle may require higher doses for penetration than finer skin areas e.g. ear. The biostimulatory effects of laser have been widely investigated both in vivo and in vitro . In vitro experimental evidence has demonstrated acceleration of collagen synthesis in fibroblast cultures due to acceleration of mRNA transcription rate of the collagen gene. Superoxide dismutase activity is increased (this decreases prostaglandins). This is postulated as one mechanism of pain and oedema reduction. Other effects are: inhibition of procollagen production in human skin keloid fibroblast cultures and stimulation of phagocytosis by macrophages, increased fibroblast proliferation, as well a wide variety of cellular responses. Laser energy at or near 800 nanometers is particularly effective as this is close to the biophotonic emissions of cells. The use of the Cold Laser to stimulate or to reduce any particular point is readily applied to the theory of Shu Point acupuncture. Laser acupuncture is much faster than that of the traditional needle treatment, approximately 5 to12 seconds. 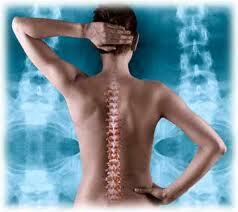 The quality of the treatment is very sure and may be consistently applied at any time. Many years of laser acupuncture experience have shown the effectivtness of this means of clinical treatment. [Clinical observation on acupoint irradiation with combined laser or red light on patients with knee osteoarthritis of yang deficiency and cold coagulation type]. Ren XM, Wang M, Shen XY, Wang LZ, Zhao L.
Zhongguo Zhen Jiu. 2010 Dec;30(12):977-81. Chinese. Observation on therapeutic effect of low energy He-Ne laser acupoint radiation on infantile cold].Zhou GY, Zhou GS, Zhang H.
Zhongguo Zhen Jiu. 2008 Sep;28(9):662-4. Chinese.